The world has been riveted in recent days by the details surrounding a 40-minute commando raid that ended a decade-long manhunt for Osama bin Laden. It was a swift and surprising end to a search for the enigmatic man whose elusiveness frustrated the world’s most powerful military and intelligence establishment for years after the attacks on Sept. 11, 2001. 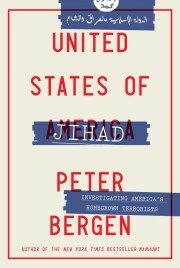 Few understand the opaque and mysterious world of the terror network built by bin Laden better than journalist-author Peter Bergen. It was Bergen who first introduced bin Laden’s bearded visage to U.S. television audiences in a 1997 interview for CNN. He has since compiled an amazing body of work analyzing the shadowy inner workings of Al-Qaeda and American efforts to destroy it. Bergen’s latest book, “The Longest War: The Enduring Conflict between America and Al-Qaeda,” is an important addition to his bibliography that should be required reading for those seeking insight into the life bin Laden led and his leadership of Al-Qaeda. The New York Times bestseller is a sophisticated, succinct and compelling account of the 10-year-old war that began with the 9/11 attacks, led to the ongoing U.S. occupation of two Middle Eastern nations and may continue for at least another decade in the view of many experts, despite bin Laden’s death. Ambitious in scope, “The Longest War” provides a balanced survey of the war from both sides of the conflict while deftly drilling down on the important battles, personalities, policies and perspectives that have affected the major benchmarks along the way. Bergen offers a straightforward account of the strategic and tactical blunders made by the United States in the frantic early days after 9/11, including the lack of action that could have ended the war in December 2001 with the capture of bin Laden at the battle at Tora Bora and the eroding of early successes in Afghanistan for the sake of diverting resources to the invasion and occupation of Iraq. Most intriguing, however, is Bergen’s discussion of bin Laden’s strategic misstep in attacking the United States on 9/11, a move that ultimately led to his death at the hands of U.S. Navy SEALS. Al-Qaeda’s intent for the attacks was to force a withdrawal of U.S. power from the Middle East to spur the popular overthrow of the secular authoritarian regimes throughout the region. Current rebellions and demonstrations across North Africa and the Middle East aside (militant Islam has played a very small role in prompting the ongoing unrest in the region), the strategic goals behind the 9/11 attacks were completely unrealized and put bin Laden and Al-Qaeda on the defensive. The biggest weakness of Bergen’s book is the timing of its release just weeks before bin Laden’s death and the unforeseen demonstrations and rebellions of the Arab Spring that have rocked the Islamic World in recent months. Certainly, if these events, especially the killing of bin Laden, could have been accommodated in this book, few would have handled those topics with better skill and clarity than Bergen. In fact, Crown Publishers, a division of Random House, announced just days after bin Laden’s death that Bergen will write a book on the manhunt. If this newest effort turns out like Bergen’s others, it is certain to become a definitive work on the topic. Bob Kustra is president of Boise State University and host of Reader’s Corner, a weekly radio show on Boise State Public Radio. Reader’s Corner airs Fridays at 5:30 p.m. and repeats Sundays at 11 a.m. on KBSX 91.5 FM. Previous shows, including an interview with Bergen, are online and available for podcast at http://radio.boisestate.edu/readerscorner.